A leading World Class Cooperative empowering its members. 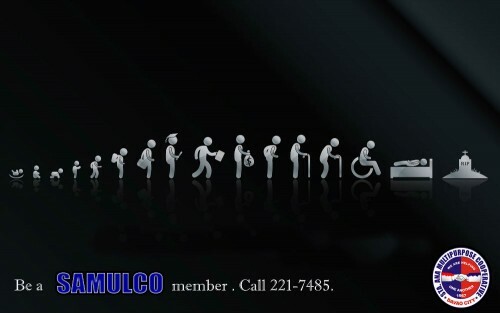 SAMULCO is committed to improve the quality of life of members and community through excellent savings, credit and allied services. To engage in Funeral Care Services for deceased member’s, its immediate family and dependents. To promote the cooperative as a way of life. The 43rd year of SAMULCO was full of challenges amidst the political and economic development of the country. It has proven that a cooperative can a successful business enterprise if managed properly. Believing in the principle of self reliance and mutual cooperation, it has survived and in fact, achieved faster growth during difficult times. SAMULCO acted as an alternative banking by the people, of the people and for the people, with preferential option to the poor who need it most, the marginal workers, small business and farmers and many others who recognize the need of each other.